This beautifully designed shirt, with attached t-shirt, is a stunning summer piece. 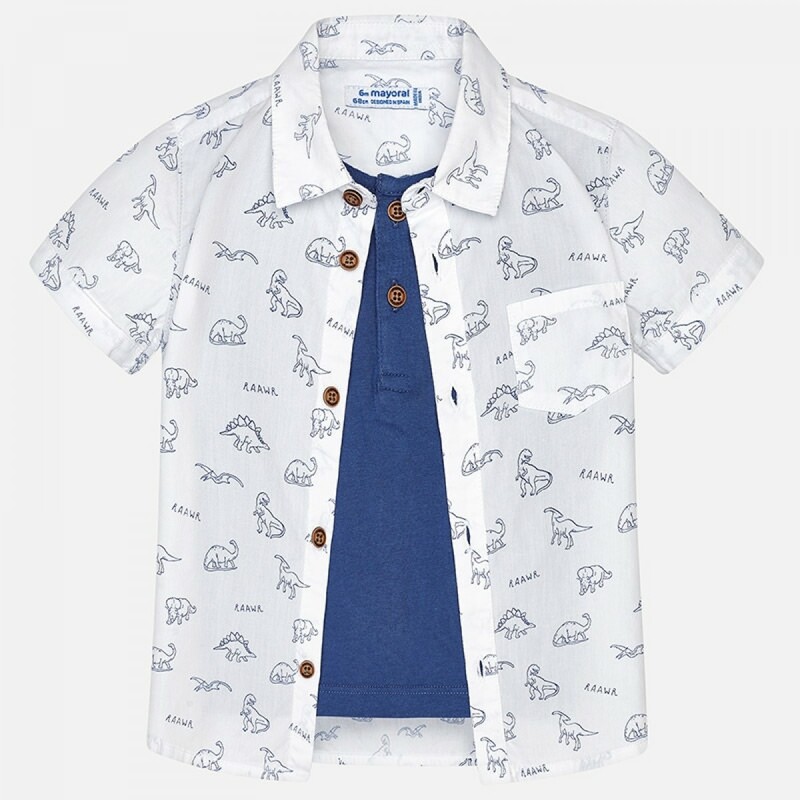 Cleverly designed to look like a two piece, the outer white cotton shirt has an all over dinosaur print, which is attached to a blue jersey inner faux t-shirt, allowing you to style it up in lots of different ways. Smart, easy to wear and effortlessly cool, it's a warm weather classic that's sure to have every head turning. With the t-shirt fitted inside, it looks amazing with the shirt fully opened, or slightly unbuttoned. The dinosaur print is a really unusual design, that little fossil hunters are going to adore wearing. The styling is perfect for the beach, but looks just as cool at a special occasion or barbecue.